Eligible students enrolled in the required classes now have the opportunity to study privately with Ms. Edwards. Interested students should contact Skyline College at (659) 738-4100. 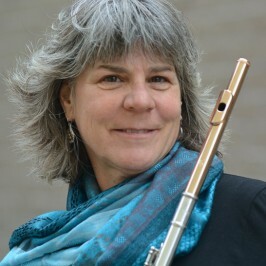 Flutist Gail Edwards is a member of many prestigious groups including: The Sacramento Philharmonic, Opera and Ballet orchestras as well as the Napa Valley and Modesto symphonies. Make it possible to achieve our goals of outstanding arts education….without your invaluable service we cannot achieve this. Lu Fahey, Casa Pacifica Senior Living Assn. Sensitive and intelligent playing, warm and golden tone, consistent after-concert praise from the audience. Professional, musical, sophisticated yet charming…the listeners were enthralled. …Am impressed with your hard work …greatly enjoyed your performance..
You are an excellent player! !